Most versatile among Alfa Laval’s different inert gas generators, the Smit Combustion system is a low-pressure inert gas solution based on the unique Smit UltramizingⓇ principle, which produces soot-free inert gas even when operating below stoichiometric conditions. 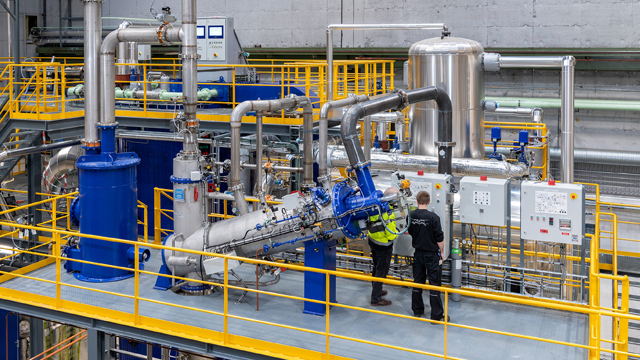 The system installed at the Alfa Laval Test & Training Centre is capable of running at full load, producing up to 2500 m3/h of inert gas with low (5%) oxygen content. It is also fitted with the Automatic Fuel Efficiency Module (AFEM), which provides up to 40% fuel savings by adjusting the amount of fuel oil and combustion air to the current demand. To learn more about the Alfa Laval Smit Combustion system and Alfa Laval’s approach to inert gas production, visit www.alfalaval.com/marine.